From the New York Times bestselling author of The Guest Room comes a spine-tingling novel of lies, loss and buried desire--the mesmerizing story of a wife and mother who vanishes from her bed late one night. When Annalee Ahlberg goes missing her children fear the worst. Annalee is a sleepwalker whose affliction manifests in ways both bizarre and devastating. Once, she merely destroyed the hydrangeas in front of her Vermont home. More terrifying was the night her older daughter, Lianna, pulled her back from the precipice of the Gale River bridge. The morning of Annalee's disappearance, a search party combs the nearby woods. Annalee's husband, Warren, flies home from a business trip. Lianna is questioned by a young, hazel-eyed detective. And her little sister, Paige, takes to swimming the Gale to look for clues. When the police discover a small swatch of fabric, a nightshirt, ripped and hanging from a tree branch, it seems certain Annalee is dead, but Gavin Rikert, the hazel-eyed detective, continues to call, continues to stop by the Ahlbergs' Victorian home. As Lianna peels back the layers of mystery surrounding Annalee's disappearance, she finds herself drawn to Gavin, but she must ask herself: Why does the detective know so much about her mother? Why did Annalee only leave her bed when her father was away? And if she really died while sleepwalking, where is the body? 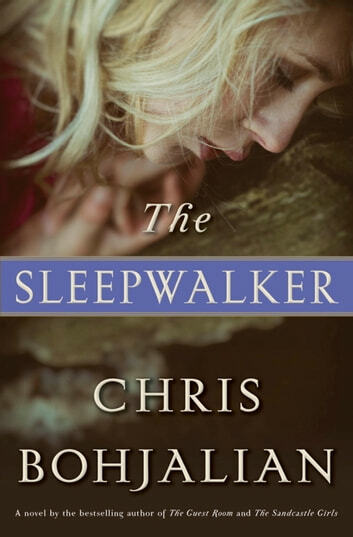 Conjuring the strange and mysterious world of parasomnia, a place somewhere between dreaming and wakefulness, The Sleepwalker is a masterful novel from one of our most treasured storytellers. Amazing, informative, beautifully written! I was fascinated by the subject and found i was quite sympathetic to all the characters. What good read this was! 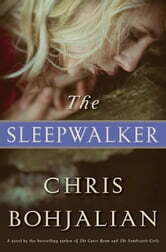 A coming of age story, a very good mystery, and the night world of people with sleep disorders. Well done! Great read! Couldn't put it down. Wonderful unsuspecting twist of an end! Loved it!